Edition of 30 Only a few left. 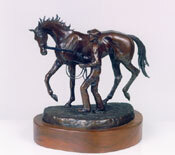 One piece has become available on this bronze please contact for more information. 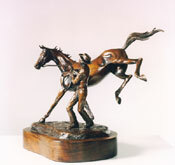 Only 25 left Edition, Edition may not be finished due to damaged mold.